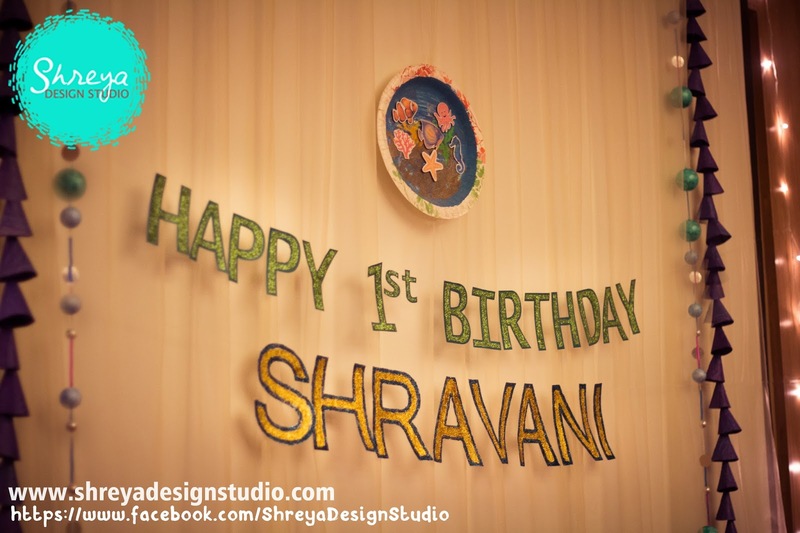 This is a post about handmade return gifts that I made for Shravani's 1st birthday party. 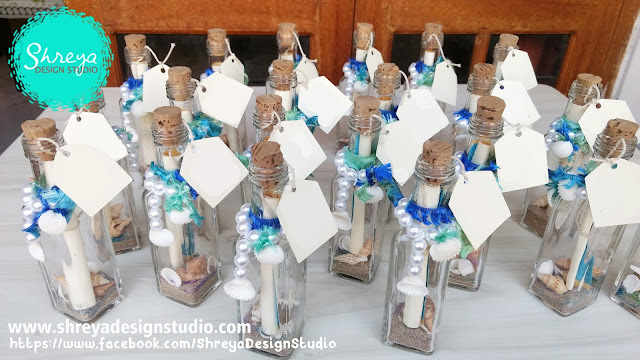 I always feel it is very important to select the return gifts as I wanted to let my guests know how much they mean to us and of course for thanking them for gracing the party. The return gifts are the best way to communicate your feelings. They also serve as a memento of your birthday party, and if its a theme based then it makes the experience even more memorable. Since our birthday theme was 'Under the Sea', I decided to give my sea themed products in treasure chests. I got the boxes custom made. 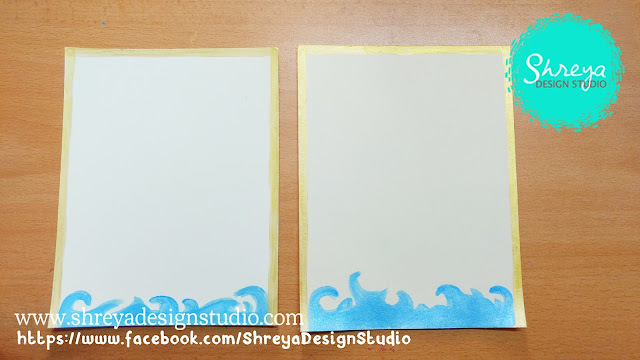 First painted them with brown color and then borders and corners in gold. 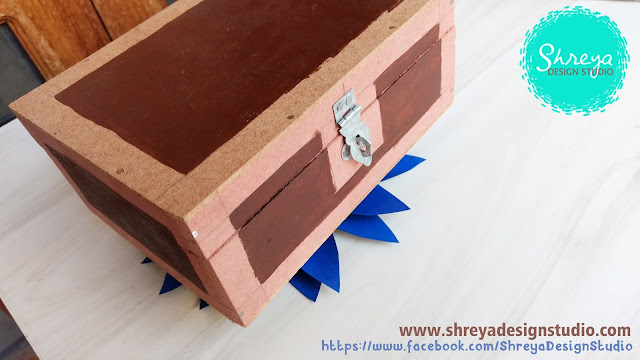 Inside each box I laid a piece decorative golden cloth in the base and tucked in sea themed goodies inside. 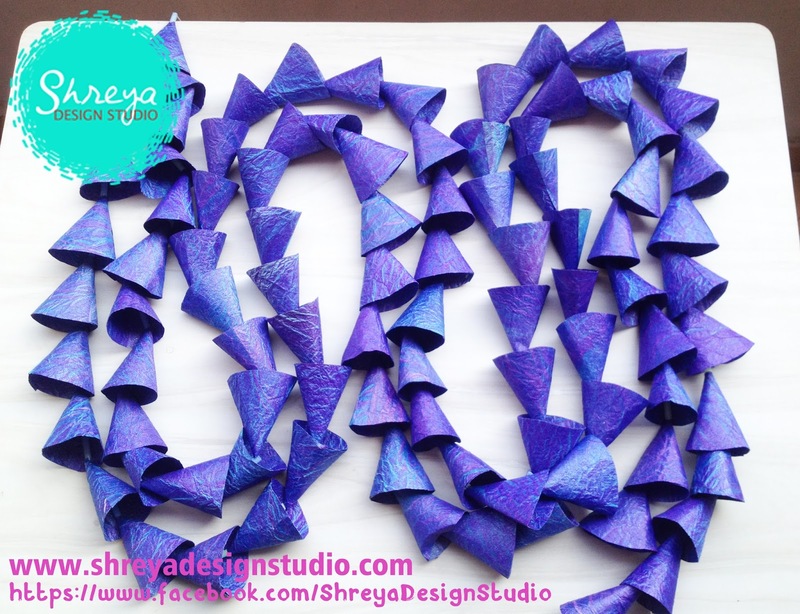 The first goody was a studded fish magnet, which is a prime product of Shreya Design Studio. 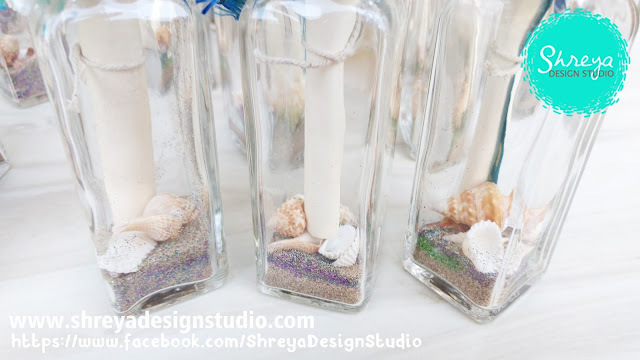 I have sold hundreds of it and it's everyone's favorite (Here is the link to my Home Decor Products page). 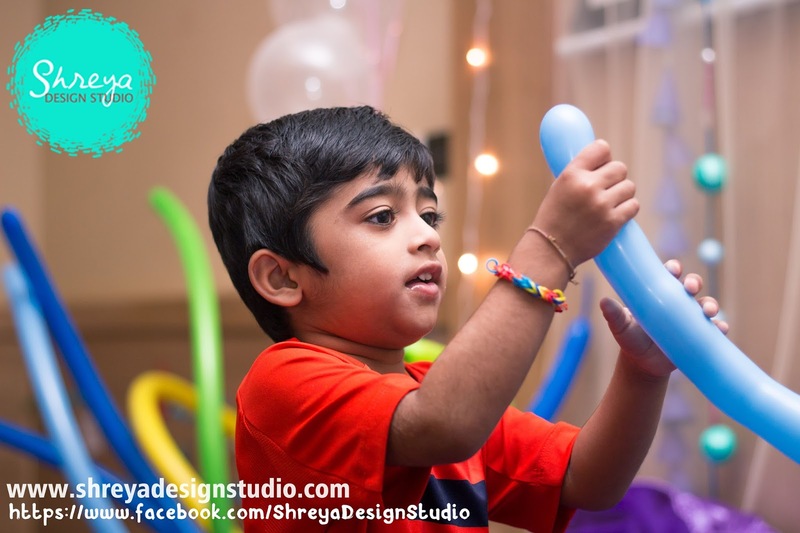 The second goody was the pearl bracelet, again a Shreya Design Studio's product. The third goody too is my in house handmade product- the sea themed bookmarks. Many of the friends on our guest list were voracious readers, and so the third choice. Fourth were gold coins chocolates- children's super favorites! My brother was the one to arrange the boxes at the venue in this fashion, as he went much earlier than us and he completely surprised me. And he was the one who helped me with decorating the boxes when he came here for new year's celebration. Enjoy the pictures below, and also a couple of in-the-making pictures! 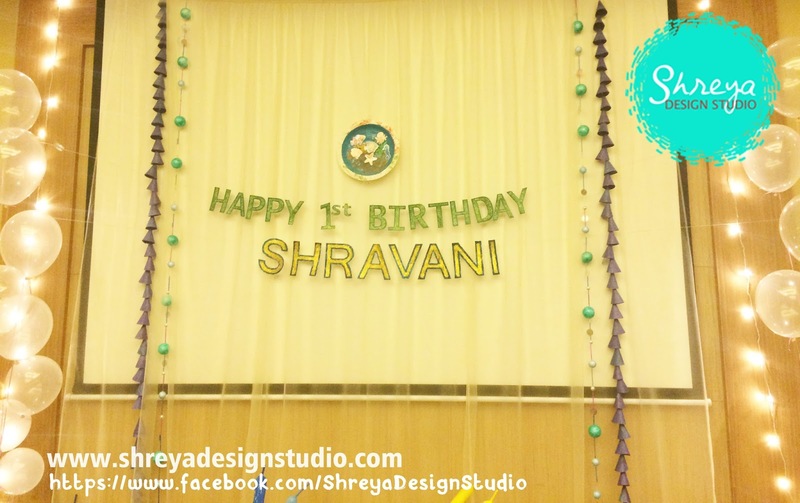 Shravani's 1st birthday stage decor was my most favorite part as I feel the finished product looked very stylish. 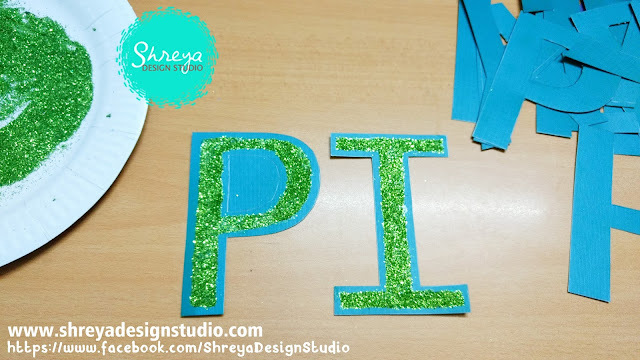 I didn't want to do big pieces for the background but shimmery shiny with little things that would look good in the photos. 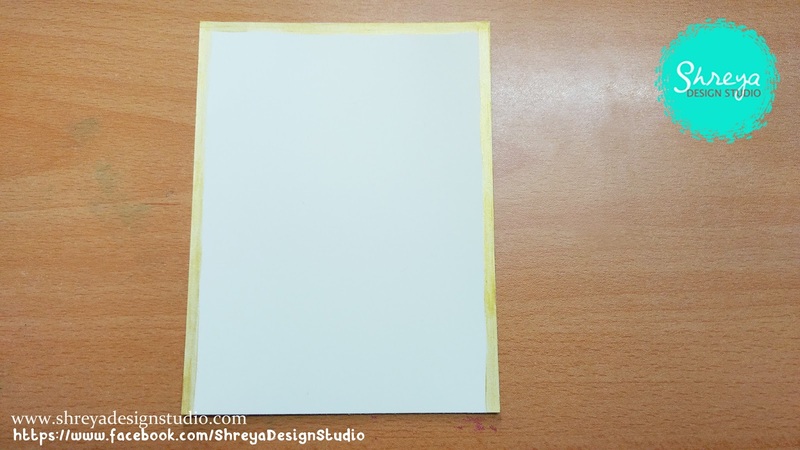 I got a transparent cream net cloth for the background. 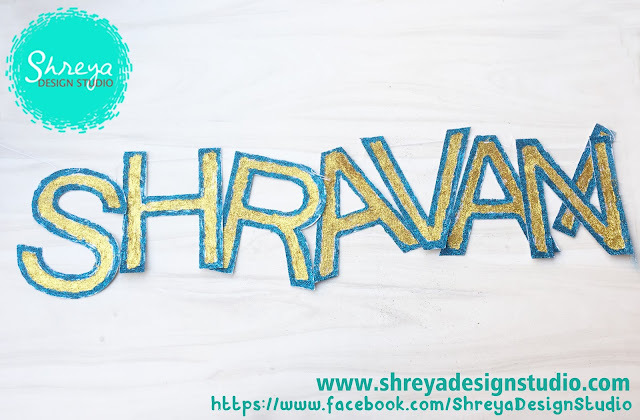 Got it stitched from a tailor according to the measurements. 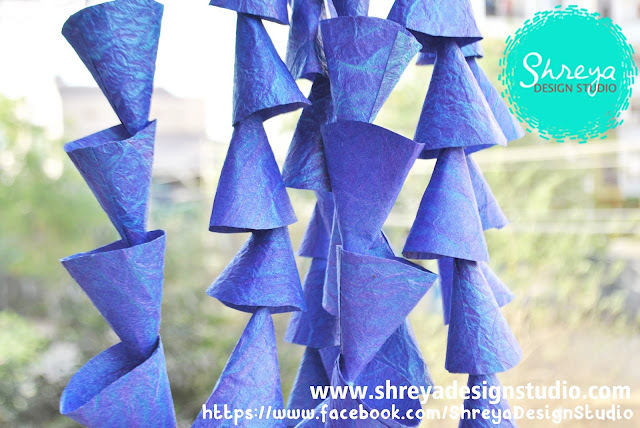 Next I did strings of sea weeds in conical shapes. Also strings of blue bubbles and pink and white pipes with a few silver sequins for that little shine. 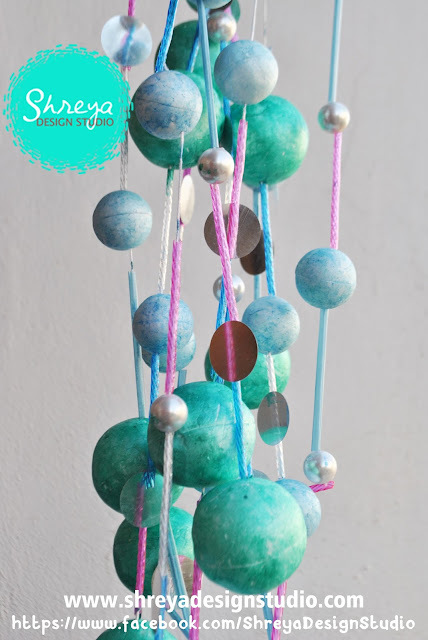 I used thermocol balls for the bubbles and painted them in shades of turquoise and blue. 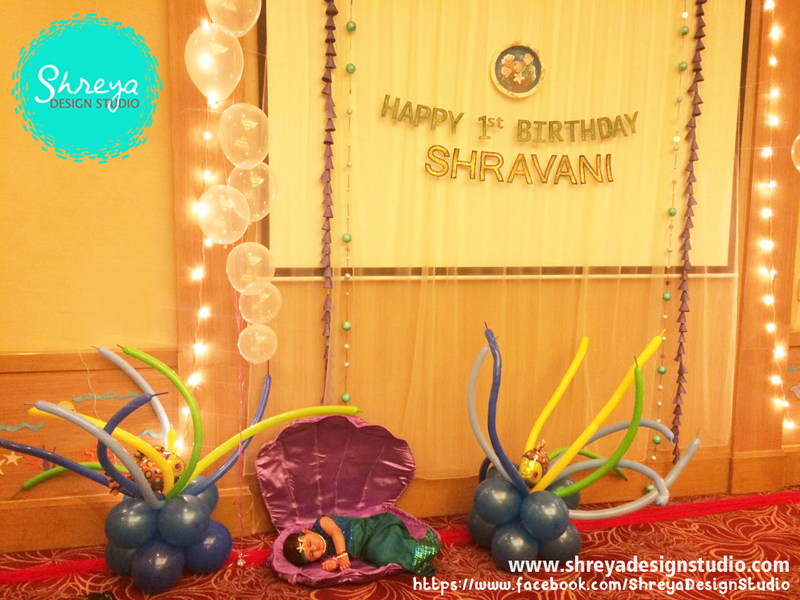 Also we placed strings of transparent helium balloons and strings of lights which gave beautiful border to the stage. At the bottom we placed balloons in sea weeds shapes and a shell prop (handmade by my Mom) for Shravani to sleep onto. 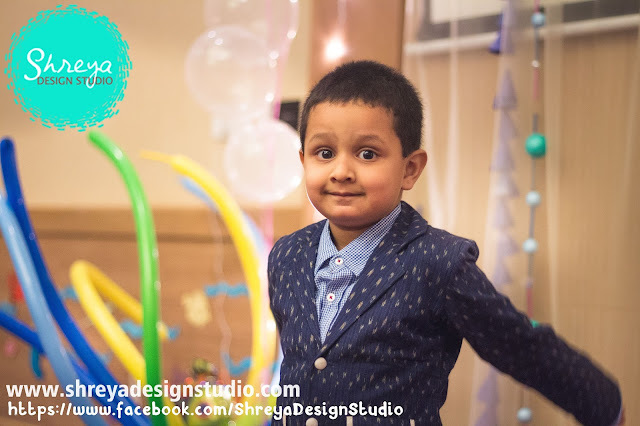 I was extremely happy the way it tuned out and all the elements completely complimented each other giving perfect background for the pictures. We celebrated our daughter- Shravani's 1st birthday party in January 2017, in Radisson, Hyderabad. 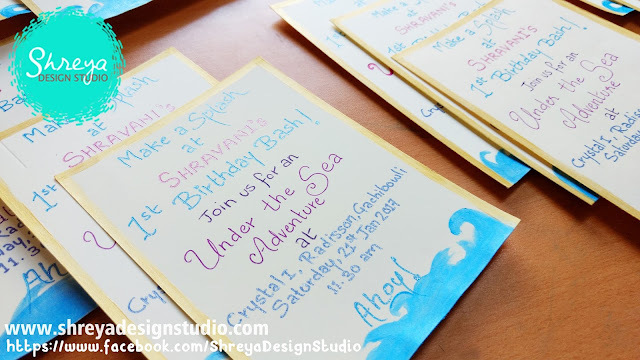 The theme of the party was 'Under the Sea'. 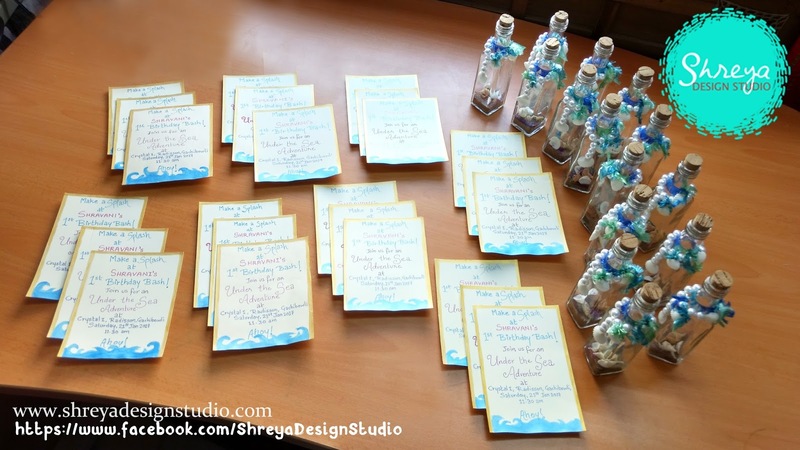 Starting with the invitations, all the decor photographs will follow soon. 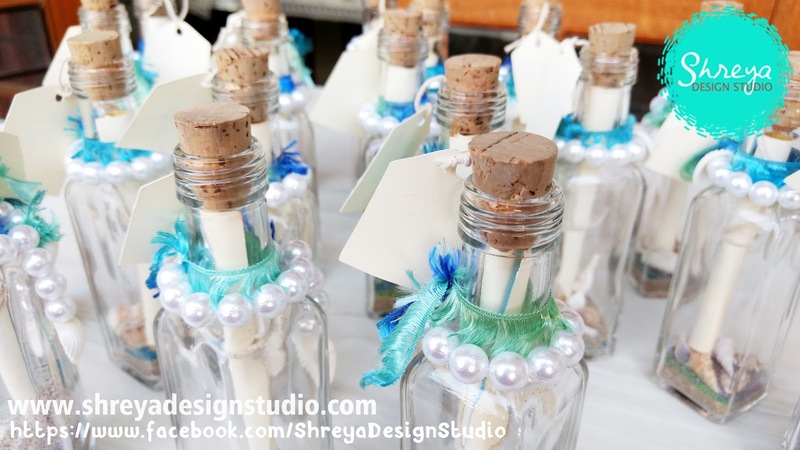 Yes, of course, the invitations as well as the decor, everything was handmade! 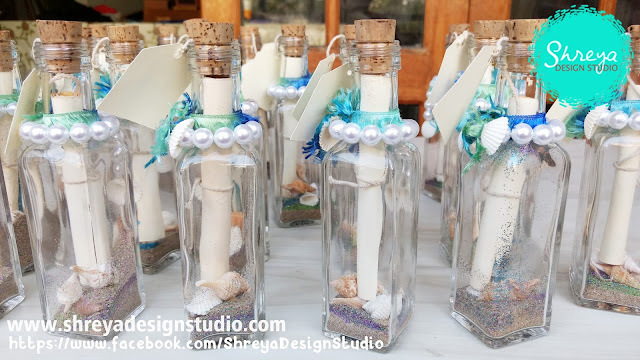 For these invitations, I cut the card stock, hand painted the border and the waves, wrote the matter with glitter pens and rolled it into a tube. 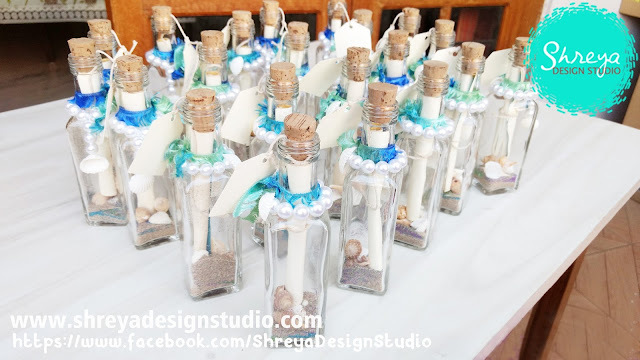 In the bottles, I put sand at the bottom and three colors of glitter powder, tiny shells and stones. 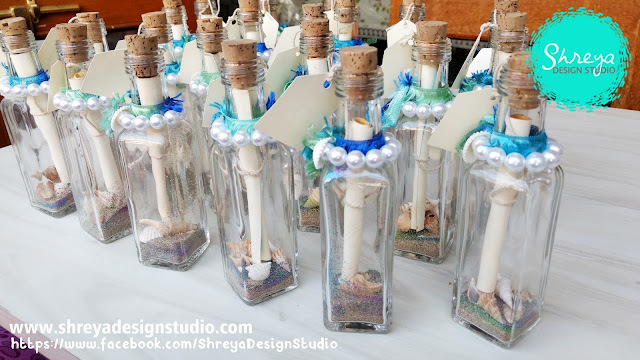 Then I tied a twig around the paper tubes, attached a tag at the other end and inserted them into the glass bottles with corks. I styled the bottles with shimmer lace, white pearls and shells. Wrote the invitee family names on the tag and invitations were ready. It wasn't that easy too! Three months prior to this I had been sketching my ideas, putting down the requirements, searching for dealers, making phone calls, making trips to craft shops around the city, and finally could put together this beautiful piece. 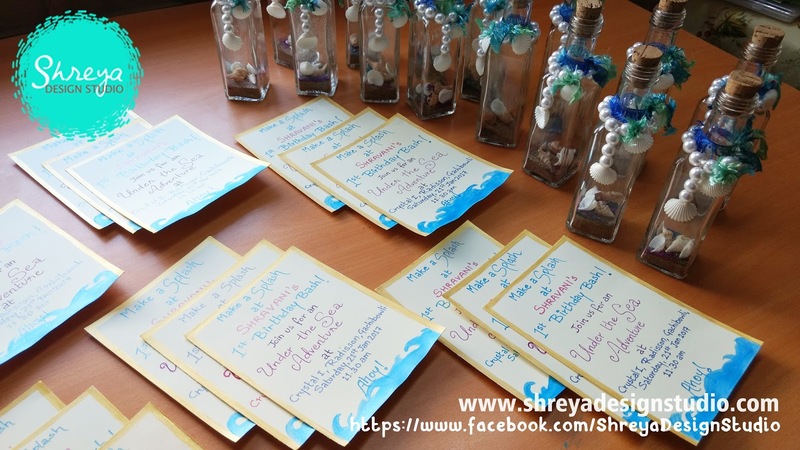 Our every guest mentioned to me how much they liked the invitation! 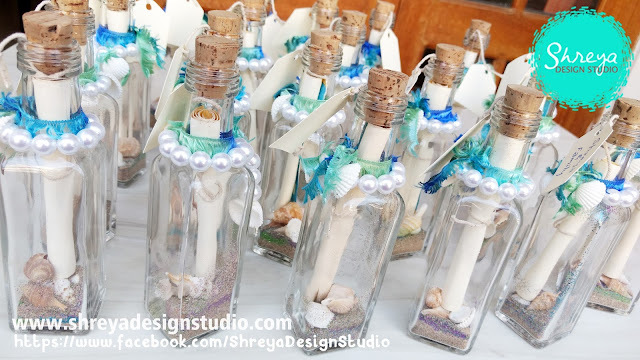 Getting the right size of bottles and shells was the toughest part. The dealers either had smaller or bigger versions. 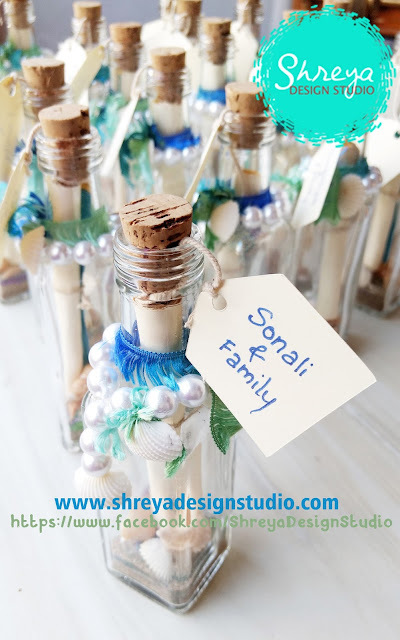 The glass bottles with cork came from Bangalore, tiny shells came from Gurgaon, pearls came from Indore, sand from Goa, glitter powders from Mumbai (from my regular dealer), the golden paint, twig, card stock and lace I bought during my vacations to Bangkok, Florida, Phoenix and Sydney. Hope you liked these pieces. 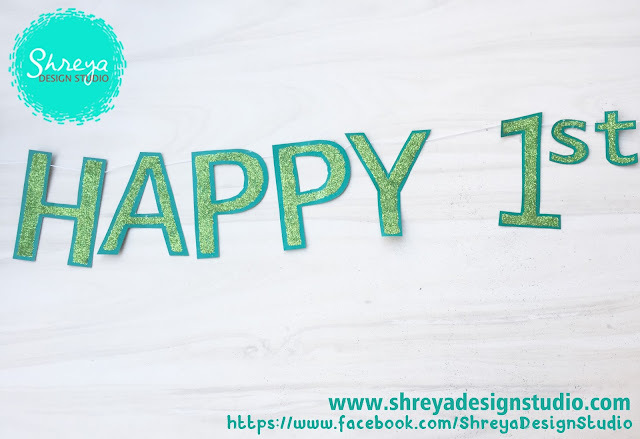 Posts on handmade birthday decor coming up soon. Until next time, happy crafting! Enjoy the pictures. 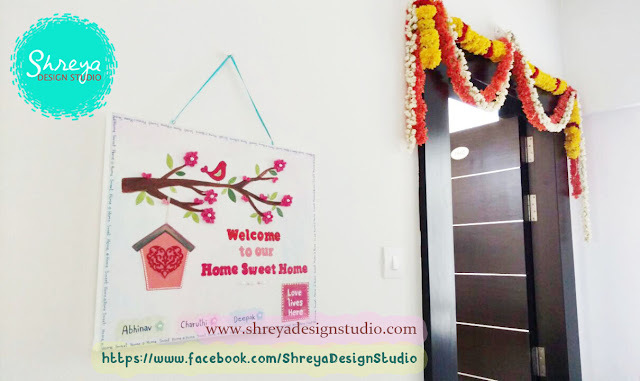 A client requested to have a Welcome Board at the entrance for their newly bought Home. 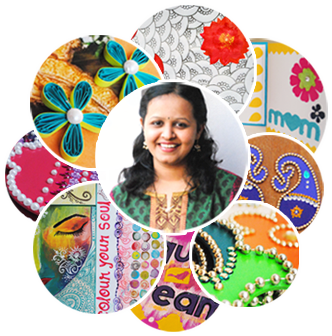 The requirements were bright colors, a mix of paint and quilling, and minimal design. 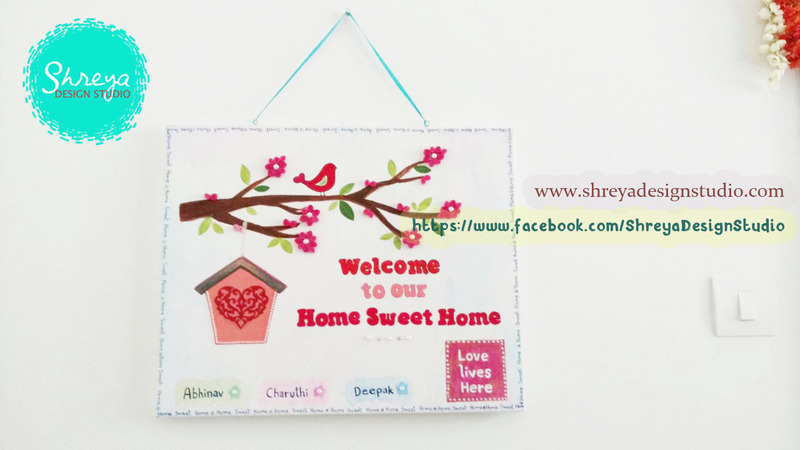 It is done on a canvas board and the mediums used are- water colors, oil based acrylics, quilling strips and stick-on pearls. The client loved my work and everyone who came in for the house-warming function. Pictures below. Vacations are a must in your life to keep you energized in life, until the next one comes! We usually plan one or two vacations every year, either domestic or international. My husband and I are water lovers, so most destinations we choose always have a water adventure. Keeping this in mind, after some research we discovered that Thailand has some amazing beaches and island tours, and so our destination was finalized - Thailand: The Land of Smiles. Vacations are even more fruitful if you can catch up with any of your relatives. 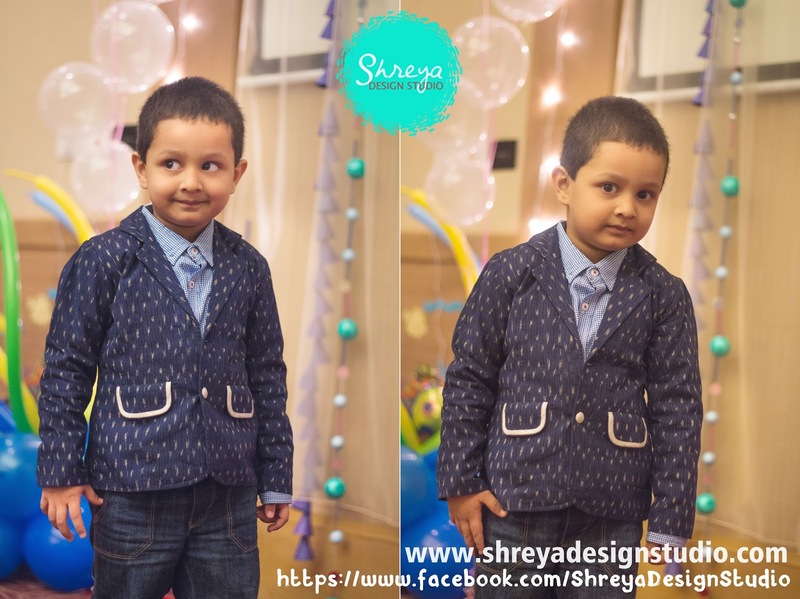 Based out of Hyderabad, and most of our relatives in Mumbai, we decided to hop over to Mumbai by Indigo Airlines and fly to Thailand from there. Thanks to Thai Airways nonstop and convenient flights, our itinerary was finalized: Hyderabad -> Mumbai -> Bangkok -> Phuket -> Hyderabad. 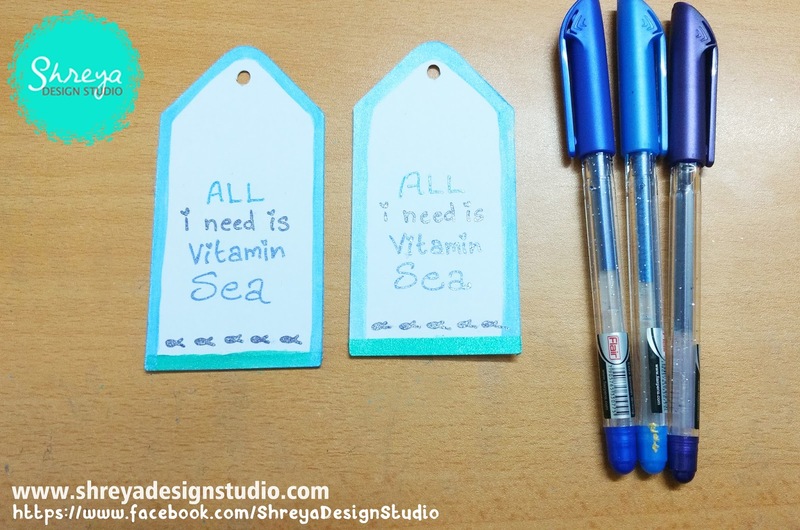 So the beach clothes, swimming kits, DSLR and other vacation essentials were packed up and we were all set. After spending a day at Mumbai meetings friends and relatives, we took a non-stop Thai Airways flight on our international destination– Bangkok. The Suvarnabhoomi airport at Bangkok was sparkling, with several elements of Indian mythology, including the ‘Churning of the Ocean’, impressed us. Since it was just me and my husband, we had absolutely done no real planning apart from flight and hotel bookings, and decided to explore the country as it would present itself to us. Outside the airport, there were some tourist counters, where we bought a one day guided tour of Bangkok city for the next day. We took the train from the airport straight near our hotel, where the famous Thai “Tuk-tuk” was promptly waiting for us to take us to the hotel. After a good night’s rest, we got ready for our Bangkok sightseeing and our tour guide was waiting for us in a cab outside our hotel. We started with the magnificent Grand Palace, the guide explaining us about the history and the sculptures, as well as the most important aspect – Photo spots. After exploring the palace, it was time to visit and worship the heritage Thai temples – Wat Phra Kaew, Wat Pho (Temple of Reclining Buddha) along with a couple more. After the tour, the guide took us to a vacation house, where we bought a one day Island package for Phuket. Second day we were on our own and decided to explore the riverside. We took a boat tour across the Chao Phraya river, and visited the Temple of the Dawn – Wat Arun. Being the adventurous lot, we decided to be amongst the few people who climbed the steep steps of Wat Arun, and trust me, it was worth the risk. What magnificent views and photographs we were able to capture from atop Wat Arun, amidst a gentle cool breeze, truly a lifetime memory. We had been struggling for Indian food, and thankfully found a few Indian restaurants near Nana Stop. What’s a vacation without shopping? With our tummies full, thanks to the good sky train facilities, we were able to visit the two famous shopping destinations of Bangkok – The magnificent Siam Paragon mall and the more affordable MBK@Siam. We shopped for a few hours making sure we got something for our families, before heading for our dream destination – Phuket. We had booked the wonderful Marriott Phuket for our stay. Our day 1 at Phuket was another unforgettable day – Visit to Phi Phi Island by speed boat. The trip started with the stunning Maya Bay, where we got some magnificent captures and enjoyed swimming in the Andaman Sea. Then was the Monkey Beach, with pure white sand followed by the famous Phi Phi Island, where we enjoyed a delicious international lunch, custom made vegetarian, especially for us. After the lunch, we enjoyed a round of snorkeling in the emerald waters following by a relaxing sunbath at another island surrounded by beautiful green waters. During our return, a heavy storm approached, while we were still 30 miles into the ocean, and we had a lucky escape back into the mainland. Day 2 at Phuket was a guided day tour to visit other famous attractions of Phuket – The Big Buddha on top of a mountain, Wat Chalong temple, and the mind blowing view-points – ‘Three Beaches’ being the best of the lot, while the evening was a relaxing one at the famous Patong beach followed by the enthralling Fanta Sea show. Refreshed, satisfied and exhausted, we set back for our home, taking a non-stop Thai Airways flight from Bangkok to Hyderabad.